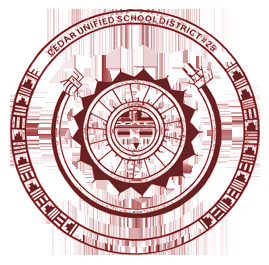 Cedar Unified School District is located in Keams Canyon, Arizona on the Navajo Indian Reservation. 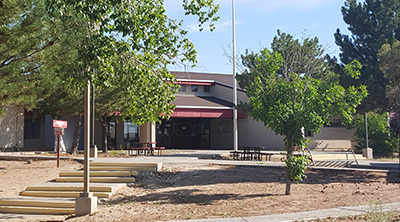 Our rural location, 150 miles northeast of Flagstaff, is populated by a community that is committed to its students and helping them achieve their potential. As educators and staff dedicated to strong academic and athletic achievements, we are continually striving to raise the bar to assure that all of our students achieves their goals. We hope you'll use our district and school websites to learn more about what we have to offer our students, our community, and our staff. Pride - We demonstrate pride in ourselves through our actions, our words, and our performance. Respect - We show respect for ourselves, others, our schools, and our community. Purpose - We recognize that we are each responsible for our performance in contributing to the care and education of our students. 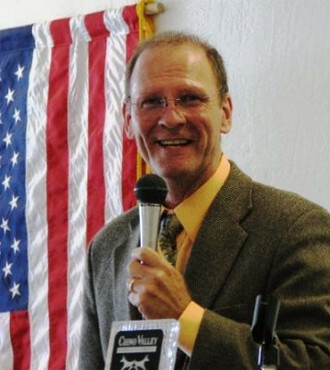 Greetings from Cedar School District #25. Welcome to our district. This school year, the governing board has made a renewed commitment to the success of all students. As a result, they are focusing on the mission statement of the district and three distinct words or phrases in that statement. First and foremost, teachers must be engaging in their delivery of instruction. An engaging lesson creates excitement among students, a greater desire to learn, and more importantly, the ability to retain what they have learned for a longer period of time. Next, teachers must lead. Students are to do the work, but teachers must lead and guide them in their educational journey. Without good leadership in the classroom, very little learning will take place. Finally, the state of Arizona requires students to meet the Arizona College and Career Readiness Standards. To meet those standards, students must be educationally proficient at their specific grade level in English language arts, mathematics, science, and social studies. We are proud of the work our teachers do. We have raised the bar by expecting them to engage students each and every day and lead them to educational proficiency. Come and join us! Together, let’s make Jeddito Public School a great place to grow and learn.